How many animals were on Noah’s Ark? Your answer depends on whether you prefer “lumping” or “splitting.” Here is what we mean . . . . When determining the “kinds” of animals on the Ark, lumping is the tendency to combine animal groups, while splitting is the tendency to divide animal groups. Lumping relies heavily on the “cognitum” method—arranging animals according to perceived similarity. While this method is important for classifying animals, relying on it too much could result in grouping animals that are unrelated. Splitting has its own set of pros and cons. One advantage is that by splitting, we will not underestimate the number of Ark animals. But the disadvantage is that we will likely overestimate that number! An artist’s concept for one of the bats on Noah’s Ark. Consider bats. Based on the splitting approach, Dr. Jean Lightner estimated that there are as many as 18 living bat kinds. However, bats do not divide neatly into their family groups. Some micro-bats are closer in some ways to certain mega-bats, and vice versa. Echolocation (the ability to locate objects by sound) seems to be an obvious trait by which bats could be categorized. But echolocation is present to varying degrees in all bat families. For our Ark Encounter, we decided to use a “worst-case scenario” approach to avoid underestimating the animals. Consequently, we placed a priority on splitting over lumping, so we split the bats into their various family groups. Although there may have only been one kind of bat on the Ark, our count includes 18 types of bats. 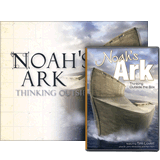 No matter which of these methods is applied, Noah could have easily fit the animals on the Ark. 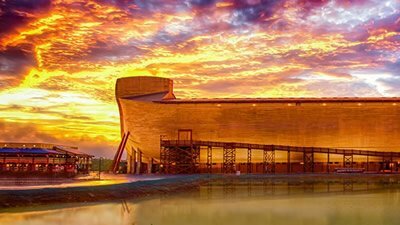 (See ArkEncounter.com for research conducted on this topic.) The results of our animal kinds research once again confirm the reliability of God’s Word.